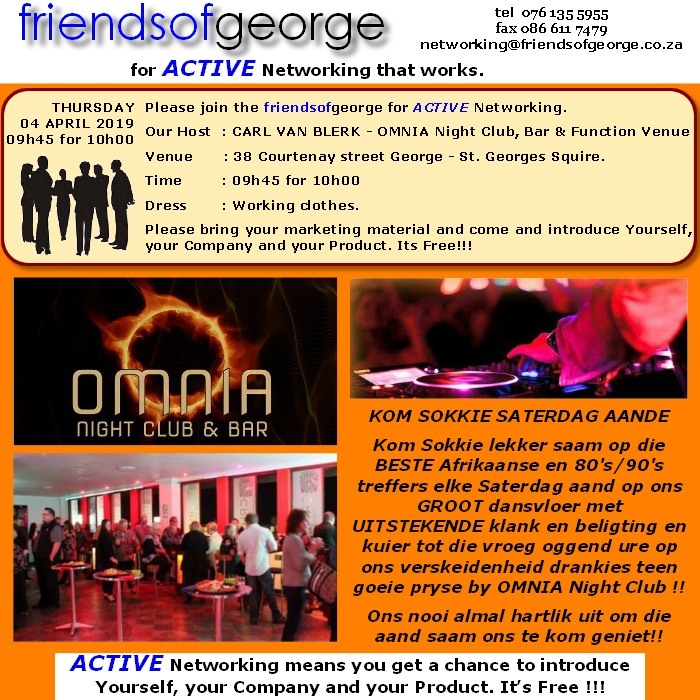 - NETWORKING - friendsofgeorge - Networking at its best....! -friendsofgeorge- Your invitation to "Buzz over Coffee" - It's FREE! THIS IS YOUR INVITATION TO "BUZZ OVER COFFEE" WITH THE friendsofgeorge. 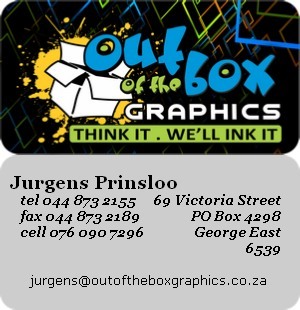 Please make use of this FREE opportunity to introduce your Company and Product. 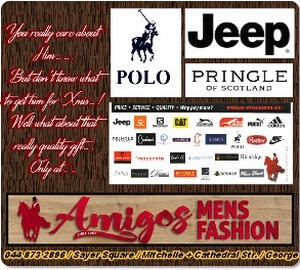 Venue	: 38 Courtenay street George - St. Georges Squire. Time : 09h45 for 10h00 Dress : Working clothes. 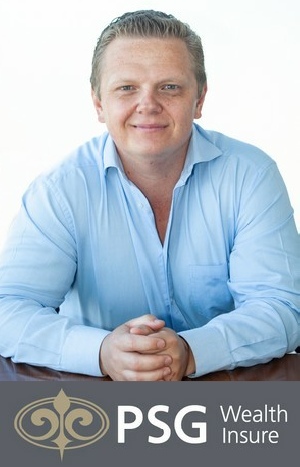 KOM SOKKIE SATERDAG AANDE BY OMNIA. A C T I V E ...! - Networking at it's best...! 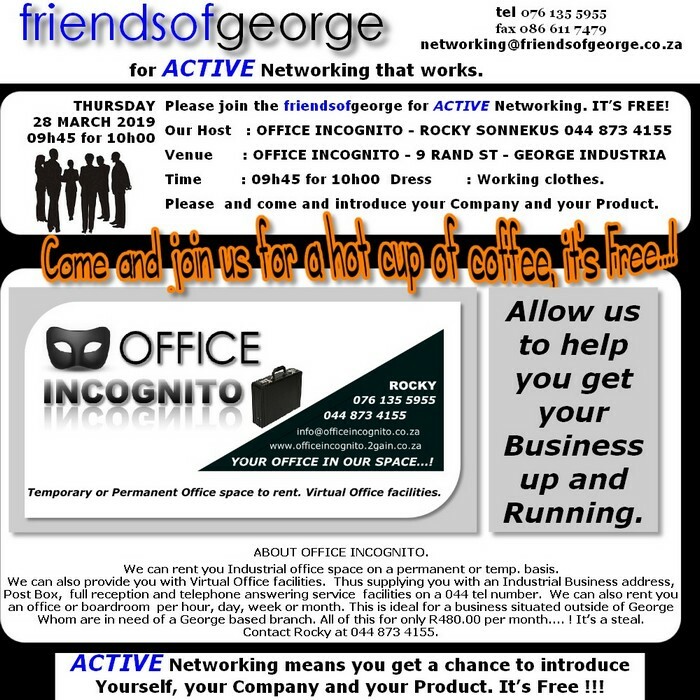 Hey, hey..... come and join the friendsofgeorge on Thursday morning at 10h00 for "BUZZ over Coffee" at the Office Incognito offices at no. 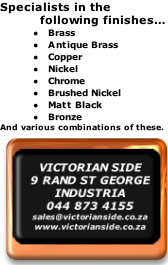 9 Rand St George Industria..... ! Please feel free to come and exhibit your product, you will be given the opportunity to tell us all about your Company and Product...! We would love to meet you...! 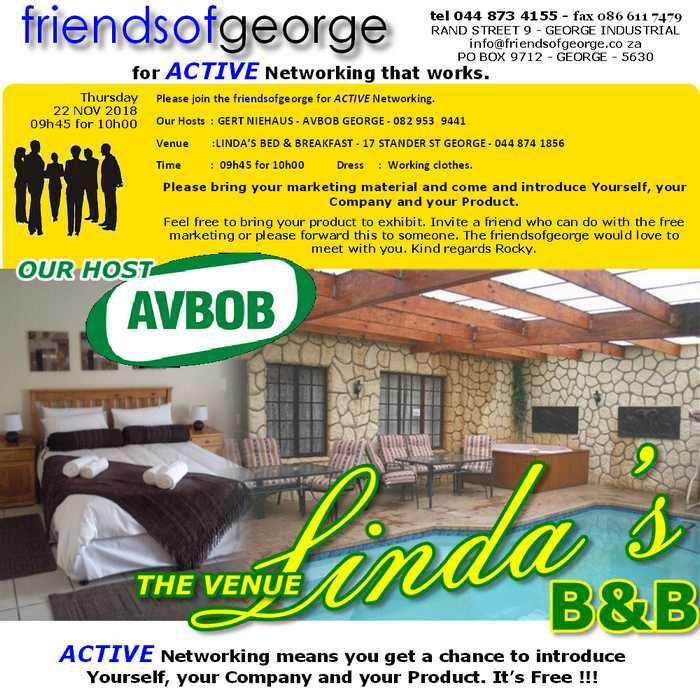 Our networking is absolutely free...! Invite a "friend" along and don't be late....! We can rent you Industrial office space on a permanent or temp. basis. Whom are in need of a George based branch. All of this for only R480.00 per month.... ! It’s a steal. Contact Rocky at 044 873 4155. 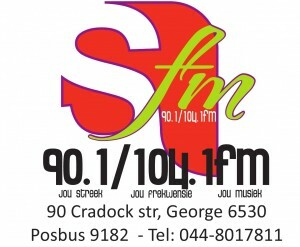 This is your invitation to another great "BUZZ OVER COFFEE" with the friendsofgeorge on Thursday morning at 10h00 when you will be given the opportunity to tell us all about your Company and product. Feel free to bring and exhibit your product, it's free, the "friends" would love to meet with you. 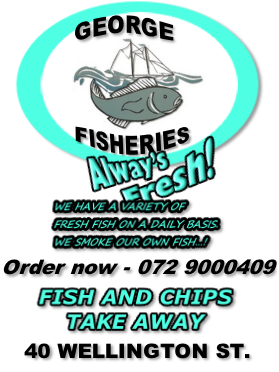 Please note that you are not obliged to join us, advertise with us or get involved with us. You are welcome in all our Network meetings as a visitor. 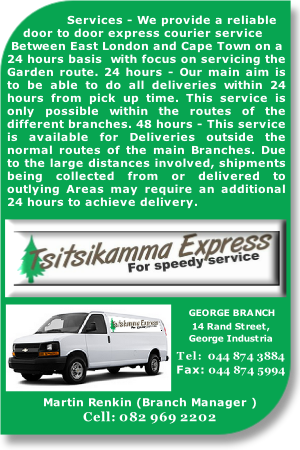 We have been ACTIVE in George for the past 22 years with a listed membership of more then 1'600 small business members that have taken hands. "friends" is the way to go. 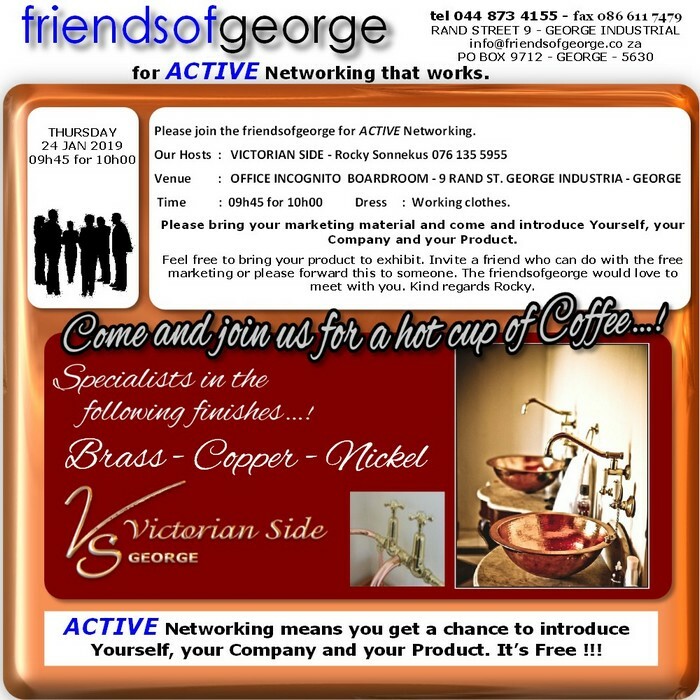 Buzz over Coffee with the "friendsofgeorge"
Over the years Victorian Side George has established a tradition of excellence in the restoration and renovation of Victorian Style bathroom taps, mixers and accessories. In addition to our restoration services we specialize in quality Victorian Baths, basins, toilets, as well as antique lamps and original Chandeliers. We also specializes in antique brass ornaments, door handles, door knobs and knockers, vases, pitchers and bowls. 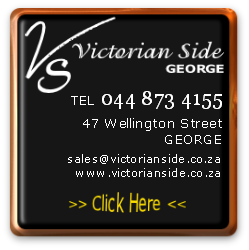 Victorian Side George takes pride in the fact that we can custom make any of your Victorian style bathroom requirements. We also manufacture brass hanging lamps and riser lamps with hand-crafted pulleys, in single or multiple lamps. These are all made from antique chandelier components, thus no two lamps or lights can ever look the same. If you can picture it we can produce it. Our highly skilled craftsmen are experts in their field and meticulous with every detail. 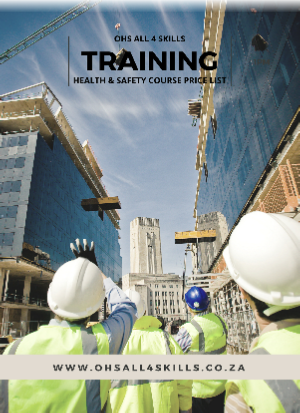 Therefore we proudly carry the RST Top Quality Mark of approval. Join us for another excellent ACTIVE Network ....! 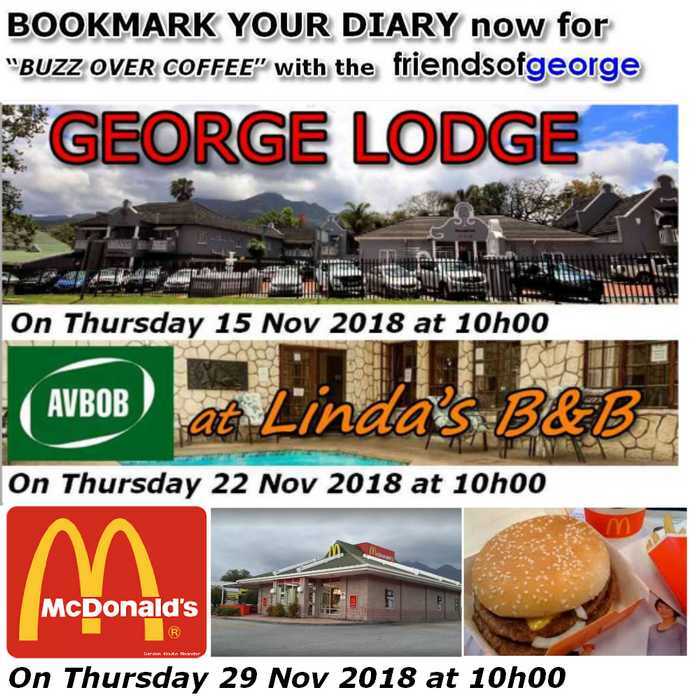 This is your invitation to "Buzz over Coffee" with the "friendsofgeorge". Come and introduce yourself and market your Company and Product. It's all free. Please don't be late as we would like to start at 10h00 sharp. It is not necessary to reserve but it would help if you do for catering purposes. 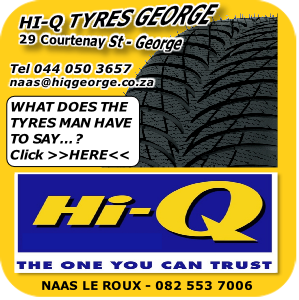 You can contact me, Hayleigh on 084 3808195 or mail me at marketmanager@friendsofgeorge.co.za. In today’s competitive business world, brands go to extreme lengths to position themselves as "different". More often than not, these differentiators are formulated, and often they are rather forced. 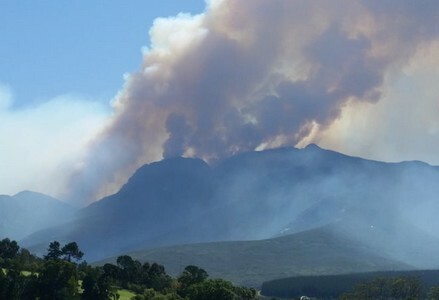 This is not the case for AVBOB - a century-old, iconic South African brand that finds its "difference" in its own DNA. 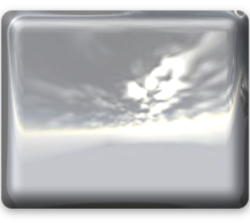 In fact, AVBOB is a business like no other in its industry. This is a bold claim for any business to make, but for AVBOB it’s the truth. Simply put, AVBOB is a Mutual Assurance Society. 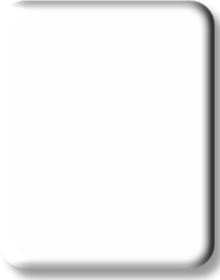 This means that AVBOB has no external shareholders. That’s right, AVBOB’s policyholders benefit directly from the society’s profits and receive special bonuses in the form of FREE funeral benefits*. This means that policyholders get to keep their money - their entire policy value - to spend on those extras that will ensure a dignified send-off for their loved ones. 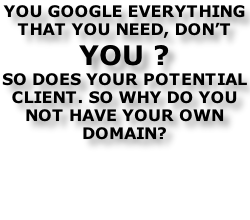 AVBOB, in other words, is defined by its unique culture of sharing. With AVBOB family comes first, always! 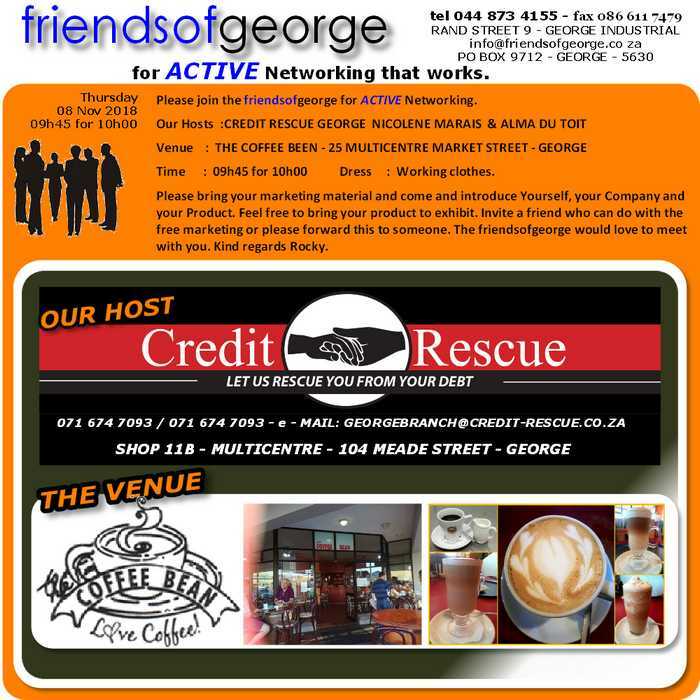 This is your invitation to "Buzz over Coffee" with the "friendsofgeorge"
Come and introduce yourself and market your Company and Product. It's all free. 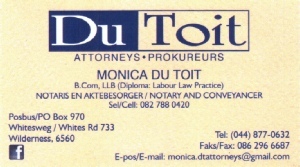 Please don't be late as we would like to start at 10h00 sharp. 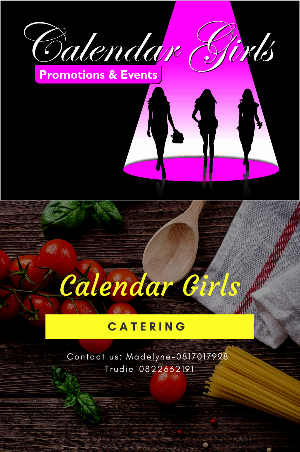 It is not necessary to reserve but it would help if you do for catering purposes. 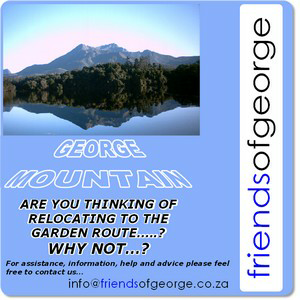 You can contact me, Hayleigh on 084 3808195 or mail me at marketmanager@friendsofgeorge.co.za. We offer comfortably convenient accommodation that suits all your travel needs. From corporate business trips to romantic break-aways, from activity filled family vacations to private relaxation, our beautiful surroundings combine with sincere hospitality to provide your ultimate accommodation option on the Garden Route. 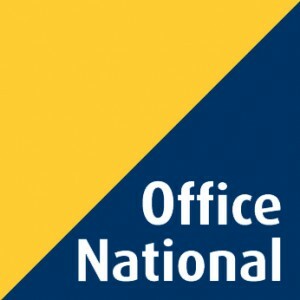 Our well trained personnel will welcome you with warm hearted hospitality and helpful hints on things to do and see in the area while paying personal attention to your needs. Situated within easy walking distance of the central business district, restaurants, shops, historical landmarks and other attractions, there is a lot to explore and discover in George. Thoughtfully furnished and individually decorated, our quaint and cosy rooms provide just the right amount of luxury to ensure an exceptional stay. Enjoy the African sun as you relax at our pool, lose yourself in a book or stay in touch with the outside world with our complimentary WiFi. Our conference centre offers a peacefully productive area for meeting with clients, hosting a conference or social event, or for getting that last minute job done. All Rooms are equipped with fridges, some have microwaves as well. DSTV - each room own decoder with 50 channels to view. Free wifi in all areas of the lodge. Enjoy a cup of complimentary coffee while you sit in our coffee area behind reception. Guests can sit here and have a chat over coffee or they can bring their laptops and make use of our complimentary Wi-Fi while getting some work done. The communal lounge area for guests where they can unwind & relax together after a long day of work or leisure activities. Open same hours as reception. We have a number of G R E A T Venues set up for "Buzz over Coffee for the next 3 weeks.... ! Don't miss out on this great opportunity to FREE Marketing of your company and product. 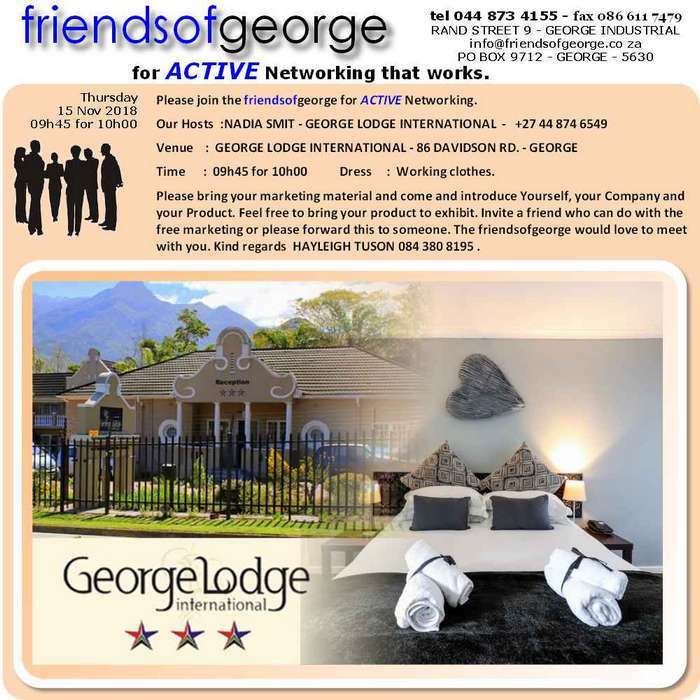 friendsofgeorge brings you A C T I V E Networking - That means everybody gets a chance to introduce themselves, their Company and Product. 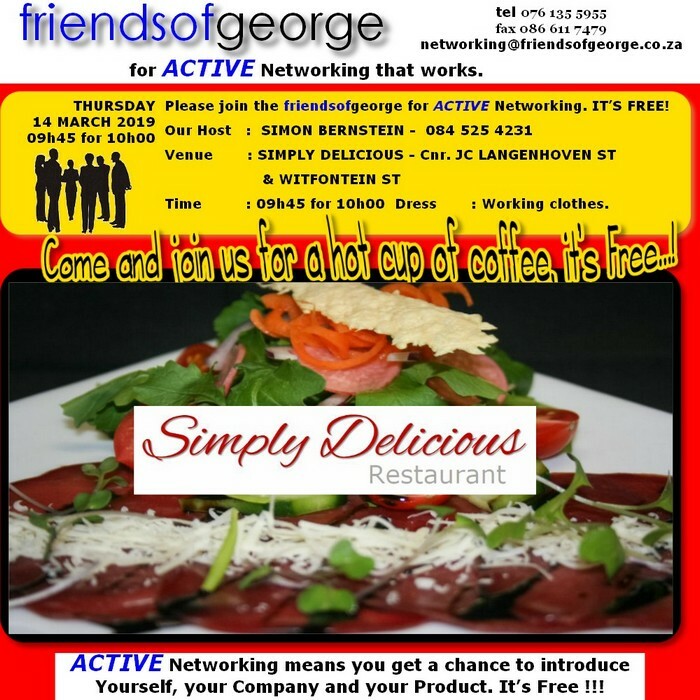 This is your invitation to another great A C T I V E "Buzz over Coffee" with the "friendsofgeorge"
It's Free...!!! - We will even feed you real " Coffee Bean's " own blend Coffee. This coffee shop is the oldest Coffee Shop in George. 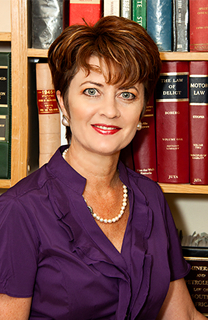 - Thank You to our host, CREDIT RESCUE in George, for making this Network possible. Please come and exhibit your product, you will be given the opportunity to tell us about your product. Looking forward to meeting you. 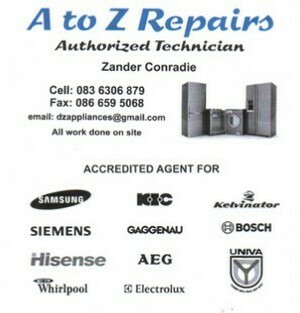 Kind Regards Rocky 076 135 5955.